Florida’s economy was strong before the storm and looks to rebound after a short term slowdown and this will have an impact on the state’s budget. The previous lawmakers had projected $52 billion as a surplus and this is a fraction to the $83 billion budget which was destroyed by Irma. The $2.5 billion in losses to agricultural industry in Florida would only increase the stress on the budget as lawmakers look to raise the budget on tourism marketing. The Labour Department had announced that relatively low four week average nationally rose by 6000 to 268,750. In all, 2 million Americans were left collecting their claims which is 6 per cent lower than a year ago. Initially, in September, jobless claims shot up in Texas and was the most in five years due to Harvey. In a few weeks time, the claims in Texas fell 45 per cent as more people returned to their regular jobs. On average unemployment is near a 16 year low at 4.4 per cent and this is due to the 176,000 job added every month in 2017. However, this is against 187,000 jobs in 2016 and 226,000 in 2015. With this trend businesses state that this is due to the job market being tight and they cannot find the right workers to fill job vacancies. 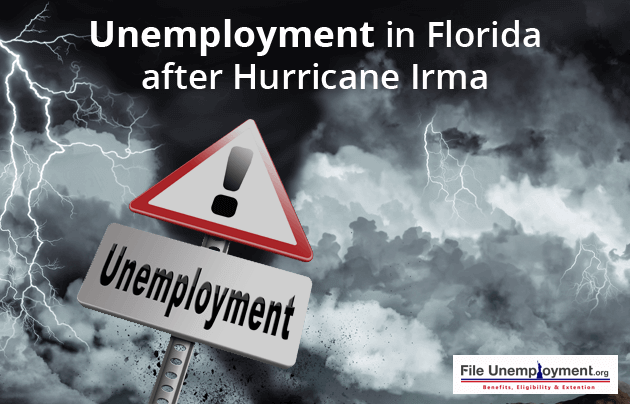 However, unemployment claims have doubled since Hurricane Irma ravaged Florida and triggered the largest evacuation in US history of more than a third of Florida’s population. In terms of people 6.5 million had to brave the storm and a large population have suffered serious damage to their property. Hurricane Irma continued to have an impact on the job market in Florida. Moreover, Floridians can apply for their claims till October 31, 2016. This allows them to receive upto $275 a week for a maximum entitlement of 26 weeks till next March. 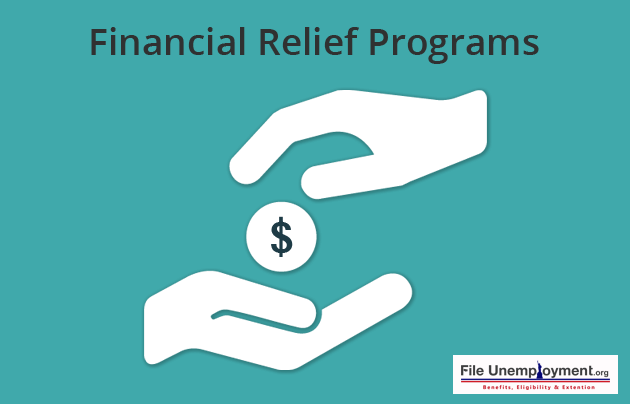 The relief of Disaster Unemployment Assistance (DUA) is available to Floridian businesses and residents who has suffered monetary loss in their businesses, self-employed or as an employee due to Hurricane Irma. DUA is applicable to 46 of the 67 counties in the state. Governor Rick Scott announced that Florida received federal Dislocated Worker Grants. This would provide a temporary unemployment assistance to the Floridians and would be administered by the Florida Department of Economic Opportunity. This would allow disaster relief in the form of temporary jobs that support storm response and recovery options. This option of short term employment is in regard to providing food, clothing, shelter and other assistance. Additionally, projects like demolition, cleaning, repair and reconstruction are part of the program. People who can apply for disaster relief employment are those who are either temporarily or permanently laid off. This could be due to the disaster, dislocation and long-term unemployment. Florida Department of Economic Opportunity is accepting applications in places Alachua, Baker, Bradford, Brevard, Broward, Charlotte, Citrus, Clay, Collier, Columbia, DeSoto, Duval, Flagler, Gilchrist, Glades, Hardee, Hendry, Hernando, Highlands, Hillsborough, Indian River, Lake, Lee, Levy, Manatee, Marion, Martin, Miami-Dade, Monroe, Nassau, Orange, Okeechobee, Osceola, Palm Beach, Pasco, Pinellas, Polk, Putnam, Sarasota, Seminole, St. Johns, St. Lucie, Sumter, Suwannee, Union and Volusia counties. Since the hurricane hit, 27,500 people have filed claims and this accounts for more than a third which is mainly from Keys, Miami-Dade and Broward counties. Similarly, 1,500 residents in Pinellas County have applied for disaster assistance, 1000 in larger Hillsborough, less than 500 in Pasco and 3000 in Broward County. You can apply for unemployment benefits at www.floridajobs.org and go to the Apply for Disaster Unemployment section. Most people have received their financial aid in 5 to 10 days time and do not have to be paid back to the government. If you have a small business, you can apply for grants and loans through this site and the final date for enrolment is October 16, 2017. Employed, self-employed or scheduled to begin work. The state government says that applications after the deadline would be untimely and not considered. DUA benefits would be restricted unless the applicant can provide a good cause. Applicant should submit their Social Security Number, provide check stubs and documentation to support the claim that they were working when the storm occurred. They should also provide all documentation within 21 days since the time the DUA application was filed. An important point is that DUA is available only during September 10, 2017 to March 17, 2018. 1. Disaster Unemployment Assistance: Did you lose your job because of Hurricane Irma? If you’re work place was destroyed by the hurricane or you cannot get a job, you can apply for DUA. This is applicable for those that have ‘substantial interruption’ to their business. Floridians can get unemployed benefits between $120 and $275 a week and apply online by October 16, 2017. 2. Student Loan Forbearance: If you are a victim of the storm in Florida, you will find it difficult to complete your payments by the end of the month. Most borrowers would receive an email from their loan providers about forbearance options. This allows them to reduce payments or receive a break of up to 90 days. You can apply for month extensions if you still have trouble paying. 3. Food Replacement: You may feel extremely over burned with expenses after having to load up on perishables in the fridge during the hurricane season. Unlike the social media post that was doing the rounds about FPL and FEMA reimbursing you for lost food is not true but you can receive food stamps and utilise its other programs to increase your grocery budget. Floridians can also avail of their SNAP benefits and receive a minimum of a 40 percent increase in their monthly allotment to replace lost food. If your food loss is more than this 40 percent increase in your monthly grocery benefits then you should apply for additional funding from the Department of Children and Families. 4. Mortgage or Rent Forgiveness: Hurricane Harvey struck Houston on August 25, 2017 and people were left stranded to pay back their mortgage and rent by the first of the month. In a similar fashion, Hurricane Irma hit Florida but gave them a bit more time to get some finances in place to survive the storm. After the storm, people have lost their jobs and work due to the hurricane and payment for October have not been easy for most people in the region. Authorised lenders have been pressed into service to give you 90 days of relief before the next payment. Additionally, they will connect with your mortgage providers to formalize a forgiveness plan. Renters should connect with their landlords to ask them for more time. In case your rental property was damaged in the storm then you should get in touch with the Florida Legal Services to negotiate on your behalf for a reduced rent payment with your landlord or to move into another property temporarily. Also, you can get in touch with the Miami Community Justice Project via email, text or a letter about letting them know that your rent needs to be paid within the next seven days. Additionally, you should also reach out for FEMA relocation funds when your home is unlivable due to the damage caused by the storm. 5. Overdraft and Late Fee Waivers: If you have irregular paychecks and high expenses to attend to this month then your overdrawing at the bank can be a real cause of concern. If you are still overcharged for overdrafts or late credit card payments then you should check with your bank as most public companies have waived the fees. This means that overdraft, ATM and late fees have been waived from September 24, 2017 while Bank of America would automatically refund overdrawn balance charges. Similarly, other banks are looking to reach out to their customers by way of waiving fees if they are showing in your account. Operation Blue Roof: The US Army Corps of Engineers provides you with a temporary blue plastic sheet that will help reduce subsequent damage to the property until repairs is made. Owners should note that they should apply before October 13, 2017 to apply for assistance and complete the Right of Entry (ROE) form that enables contracts and employees to review the damage and to install this temporary covering on your premises. You can visit www.saj.usace.army.mil/BlueRoof or www.saj.usace.army.mil/blueroof_espanol/ or call 888-ROOF-BLU (888-766-3258). You will be provided information for this service in both English and Spanish. Florida Crisis Cleanup: There are a number of Florida voluntary relief agencies that have a hotline to clear debris and home cleanup. All services are free but services are not guaranteed to all as they are a lot of calls. Survivors that need assistance can call the hotline on 800-451-1954 through Oct. 15. Disaster Unemployment Assistance Application: Floridians are eligible for assistance if they were unemployed as a result of Hurricane Irma and are not eligible for regular unemployment insurance and require unemployment benefits and reemployment services. To avail this deadline, you should apply for your claim and get assistance latest by October 31, 2017. You are eligible for claims from September 10, 2017 till March 17, 2018 and you can file for claims by calling 1-800-385-3920 or visiting http://www.floridajobs.org. Florida Small Business Emergency Bridge Loan: To ensure that your business is not affected by the storm, you can apply for short-term, interest-free loans upto $50,000 for small businesses that have suffered a physical or economical damage. You should apply by October 31, 2017 to avail this service and apply at http://www.floridadisasterloan.org/. Request for Public Assistance: FEMA provides grants for the state, tribal, territorial and local governments and to certain private non profit organisations. This will enable them to quickly respond to and recover from the effects of Hurricane Irma. Those that are eligible for reimbursement for disaster related costs for emergency response, debris removal and permanent work. This includes repairs of schools, roads, bridges and other public infrastructure. Hence, you can visit https://www.fema.gov/public-assistance-local-state-tribal-and-non-profit to apply for assistance. Individual Assistance: Residents can be eligible for FEMA assistance for temporary housing, rent, home repairs to their primary residences and to enable funding for other serious disaster related needs. The easiest way to apply for federal assistance is online at www.disasterassistance.gov. Applications can also be received by calling 800-621-3362 or 800-462-7585 (TTY). Since the demand is high it can be quite hard to connect with the board. The FEMA helpline numbers, 800-621-3362 or 800-462-7585 (TTY), are open seven days a week from 7 a.m. to 11 p.m. US Small Business Administration Low-Interest Loan: Apart from Insurance, the US Small Business Administration is a primary source of finance for long-term rebuilding of disaster-damaged private property. Business owners should apply for disaster assistance with FEMA and they can also apply to SBA for assistance. The filing deadline for physical property damage application of SBA is November 9, 2017. Those that are filing for economic injury applications for SBA is till June 11 and you can apply by visiting https://disasterloan.sba.gov/ela/Information/Index.Don’t miss the last date to apply for your benefits on the dates mentioned above. If you are affected by Hurricane Irma then you should look get your due with the benefits that the State of Florida is offering you.